SAN FRANCISCO (KGO) -- A new treatment center for people with severe mental illness is set to open in San Francisco next Monday. 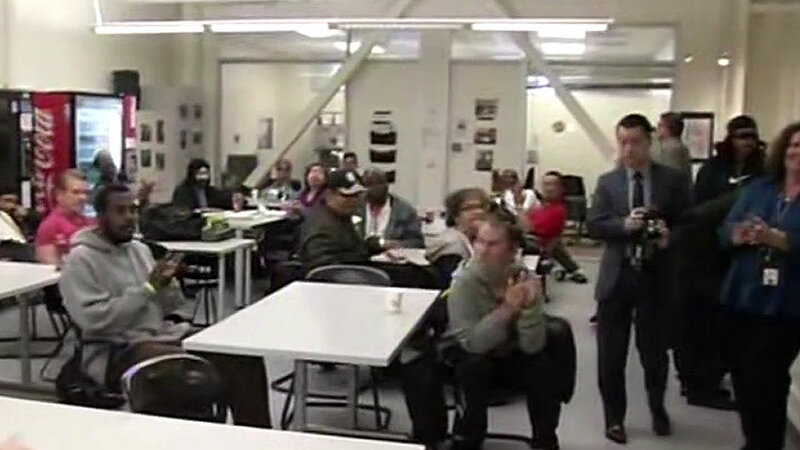 ABC7 News was at the new assisted outpatient treatment program at 6th and Mission streets as Mayor Ed Lee got a tour. It's opening as part of the state's newly enacted Laura's Law, which allows counties to open facilities that provide outpatient care for those deemed by a court to be a danger to themselves or others. San Francisco is just the fifth county to put the law into action. "Ultimately as mayor of course I want more of these individuals to be off the streets, I want them to be taken care of and particularly by loved ones and family. That's the best situation we possibly have," Lee said. The law is named after Laura Wilcox, a 19-year-old who was fatally shot in Nevada County by a psychiatric patient who resisted his family's efforts to get him care.